In 2014, the Centers for Disease Control estimated that nearly 1 in 50 people had some degree of fibromyalgia with this number rising as doctors gain a deeper awareness and understanding of this disorder. For some people, this disease might just be slight discomfort, but for others it can be completely debilitating. In this article we will look at not only the disease itself, but the causes, criteria for diagnosis, treatments, short and long-term effects for this disease. Fibromyalgia is a nervous condition that affects how the brain processes pain signals from the nerves. This usually means that sensations of pain are amplified or there is a constant, general pain throughout a large portion of the body. While in some cases, these pains ebb away, most cases report a constant and consistent pain. With fibromyalgia being a disorder involving the nervous system, diagnosis and treatment can prove difficult since it relies also on the patient’s assessments and psychology for doctors to make their determinations. As well, there is still debate over what exactly comprises fibromyalgia, let alone how to treat it. This debate even encompasses the classification of fibromyalgia. 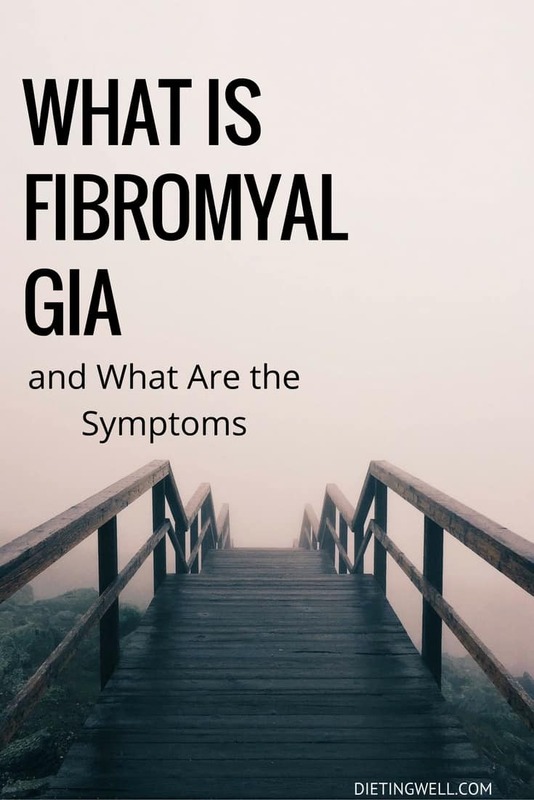 The American College of Rheumatology and the International Classification of Diseases (ICD-10) consider fibromyalgia to be a functional disease of the musculoskeletal system and connective tissue. Meanwhile, the European League Against Rheumatism classify the disease as a neurobiological disorder. Like many other medically unexplained syndromes, doctors are still coming to a consensus of what exactly fibromyalgia is as well as how to treat it. While this can make diagnosis difficult, the potential finding better treatment options through the wide-ranging definitions and theories could prove beneficial. According to the Mayo Clinic, there are many wide-ranging potential symptoms to fibromyalgia. In a vast majority of cases though, widespread dull pain occurring on both sides of the body and above and below the waist is considered the basic component to the disease. This pain needs to last at least three months before it can be diagnosed. Many cases of fibromyalgia report allodynia, or more sensitivity or pain from touching or being touched as well. Beyond that, many sufferers of fibromyalgia report fatigue, cognitive difficulties, headaches, depression and digestive problems as well as many other symptoms. Many of those who study the disease are not sure if these are not just caused by the fibromyalgia themselves. Regardless, many of these symptoms are commonly reported. Similar to multiple sclerosis, some people with fibromyaglia may have muscle spasms, limb weakness and struggles with some motor control. Although anxiety, depression, irritable bowel syndrome and chronic fatigue syndrome tend to be observed frequently in fibromyalgia patients, the ICD believes that these conditions are comorbid and separate from fibromyalgia. This comorbidity is one factor in the struggles to define fibromyalgia. Because of its similarity of symptoms, potential causes and treatments to several other conditions, a Mayo Clinic study in 2012 estimated that up to three quarters of all cases could be going improperly diagnosed if not dismissed out of hand. What are the Leading Causes of Fibromyalgia? There does not appear to be one simple cause to fibromyalgia. Doctors tend to believe that there are usually a confluence of factors which lead to the disease. This is another reason why the classification of the disorder differs between different groups researching and treating fibromyalgia. Because of the evolving understanding of the disease, fibromyalgia is becoming more widespread. This is not to say that there are more cases occurring now, but more that it is more clear what exactly fibromyalgia is and that many people had symptoms and did not realize it. There is evidence that supports a genetic link to sufferers of fibromyalgia. This link appears to be fairly loose though and appears to involve several genes, making direct inheritance less likely. Research has also shown that polymorphisms, or mutations, to the genes which make several hormones, including serotonin and dopamine play a factor in fibromyalgia. These polymorphisms are not exclusive to fibromyalgia though as they tend to show up in those suffering from other diseases. More often, stress and other reactions to psychological stimuli appear to play a role in the development of fibromyalgia. Major depression especially appears to lead to the manifestation of fibromyalgia, likely due in part to issues in the creation and processing of serotonin and dopamine. Some sufferers of Post Traumatic Stress Disorder, also report symptoms of fibromyalgia. This is especially prevalent in those who suffered physical trauma whether in combat, an accident or physical abuse. For this reason, there are some who study the disease, including pioneer Dr. Frederick Wolfe, who believe that the disease is more of a physical reaction to depression and stress than its own disorder. Smoking, obesity and general inactivity show a higher likelihood of fibromyalgia as well. But as these lifestyle factors tend to also lead to a higher likelihood of being more prone to many diseases, these links might be coincidental. Sleep deprivation and non-celiac gluten sensitivity are other potential causes, but more research is needed. Historically, fibromyalgia is thought to be more common in females than males, but with recent changes to both the definition as well as diagnosis of the disease, that gender gap is closing. Even then, female cases still outnumber male cases by a factor of seven to one. Similarly, while the likelihood of suffering from fibromyalgia was thought to increase exponentially with age, according to the Mayo Clinic, it appears that more cases occur at younger ages than previously thought. What Is Going on Inside Those Suffering from Fibromyalgia? While it is not completely clear what is occurring in those suffering from fibromyalgia, there are several hormones that factor into those afflicted with this disorder. These hormones can, when under or over produced in the body, also cause many of the disorders considered comorbid with fibromyalgia. The most common hormone that affects those with fibromyalgia appears to be dopamine. Those who have low levels of dopamine in their bodies frequently report the symptoms of fibromyalgia. Considering its role in motor control and pain perception, it likely that underproduction of dopamine is a leading factor towards fibromyalgia. Another likely component to fibromyalgia is decreased serotonin levels. Serotonin affects pain perception as well as sleep patterns, mood and the ability to concentrate. In spite of this, treatments for fibromyalgia that attempt to better regulate serotonin do not correspond to improving the conditions of the patient leading many to suspect that serotonin is an accompanying and not primary cause of fibromyaglia. Recent research has potentially seen a link between fibromyalgia and hormones controlled by growth hormone. When factoring in the frequent reports of struggles to sleep and the slow healing of muscles in those suffering from fibromyalgia, there is a chance that it plays a greater role than was believed in some cases. Since fibromyalgia has symptoms similar to many other diseases and its nature is still nebulous at times, it may require the consultation of several doctors and tests before a diagnosis can be confirmed. This is why many doctors encourage you to keep throughout and detailed records of your symptoms as well as having ready your personal and family medical history. Diet and other medicines taken are also helpful since some symptoms can be caused by the side effects of foods or medications consumed. After a general physical exam, doctors then ascertain whether you have issues with sleep or depression before then going onto further tests. Recent changes in the diagnosing of fibromyalgia have focused more on personal accounts rather than a formal test. As well, most doctors will not consider testing for fibromyalgia until the pain has existed consistently for over three months. The former common test for fibromyalgia, the tender point test, involved doctors checking 18 different points on the body when firm pressure was applied. Since fibromyalgia and several other disorders tended to have general pain this test was potentially both misleading and redundant for fibromyalgia. With its definition to focus more on a general, dull pain, touch sensitivity was deemed unnecessary for a diagnosis in many cases. The approach of the modern test is one which removes reliance on the tender point test and focused more on the widespread pain index and symptom severity scale. These both give scores which if above specified levels and other possible factors are eliminated can lead to a diagnosis of fibromyalgia. More often now, many of the tests being done on those suspected of having fibromyalgia tend to be done more to rule out other diseases rather than confirm fibromyalgia. Blood tests are used to ensure that red blood cell count, thyroid function and erythrocytes levels are all where they should be as these can create symptoms similar to fibromyalgia. Because of the uncertainty of the causes of fibromyalgia and the limited successes found with any treatment, most of those suffering from the disease try a variety of different treatments. As well, many also try a combination of treatments to determine a way to at least manage their pain. There are currently two drugs on the market in the United States and Canada to manage fibromyalgia, pregabalin and duloxetine. As well, the FDA has approved milnacipran, but other markets have not done so at this time. Pregabalin, marketed in the United States as Lyrica, modulates the influx of calcium, leading to a better regulation of pain. Duloxetine, known as Cymbalta in the US, regulates the flow of serotonin. Milnacipran, most commonly marketed as Savella, also regulates the flow of serotonin, but does not have as adverse side effects as Duloxetine. Along with these drugs for management, many fibromyalgia sufferers are prescribed anti-depressants or anti-seizure medications to help treat the disease to varied levels of success. When it has proven successful, it has usually been significantly so. But in many cases there was little to no noted improvement in conditions or a minimal improvement with adverse side effects. As well, both anti-depressants and anti-seizure drugs have been found to take several months to truly show any positive effects, if any leading many doctors to lean away from prescribing them. Some doctors also prescribe opiod painkillers, but this practice is starting to be phased out as it does not appear to sufficient address fibromyalgia pain and tends to lead to addiction. While the European League Against Rheumatism has recommended usage of weak opiods like tramadol in the past, recent evidence has shown that these do not help with pain but as less effective serotonin regulation than other drugs on the market. While dopamine levels tend to be low in most fibromyalgia patients, there has been little success in treating them by increasing dopamine levels. Compared to other dopamine related disorders like restless leg syndrome and Parkinson’s disease, the rate of improvement through the usage of dopamine agonists is low for fibromyalgia. In light of side effects including decreased impulse control, this path of treatment is rare both in its usage and its success. A more recent treatment has been human growth hormone, or HGH. This has either been done by a treatment cycle of HGH over several months to attempt to improve the body’s regulation of the hormone, or usage of sodium oxybate to increase production through lengthening deeper stage sleep. While studies are still preliminary, results have been encouraging. Psychological and physical therapies, as well as alternative medicines, have been embraced by some to supplement or replace medication again to mixed success. Because of the uncertain nature of the disease in general, these treatments are usually used to aid in coping with the disease if not to alleviate pain or fatigue. Psychological treatments usually attempt to use a multifaceted approach to address the underlying factors that may cause fibromyalgia and help enable better coping with the discomfort. Cognitive behavioral therapy, especially focusing on exercise and education on sleep hygiene have helped some sufferers better manage their fibromyalgia. Therapies focusing on alleviating post traumatic stress disorder have also made positive inroads toward the treatment of fibromyalgia. Improving fitness through exercise and physical therapy have been found to help in pain management, fatigue and sleep in many patients. Cardiovascular exercise, especially swimming has been found to be very helpful as it adds in resistance training. With the trial and error nature of treatment of fibromyalgia, many turn to alternative medicinal approaches to supplement or replace other treatments. Most common is the use of acupuncture, which based on the nature of pain sensitivity in fibromyalgia seems counter intuitive. In spite of that, some report that it does aid in pain management if not alleviation. While Fibromyalgia itself is not fatal, the complications and loss of quality of life suffered by most fibromyalgia patients can lead to the worsening of other conditions and depression. 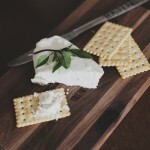 Because of this, it can hamper recovery or treatment of other issues, either through struggles to separate symptoms from the fibromyalgia or the general increase in health care spending by fibromyalgia sufferers. Many fibromyalgia patients have difficulty managing simple daily tasks because of their constant pain, making the thought of holding a job or even living independently a difficult proposition. As well, the costs of treatments and tests can become a burden for most. Fibromyalgia carries with it frustration of those around the sufferer. Not just because of its relative newness as a recognized disease and the limited understanding by even those who treat it, but the doubts some have because of a lack of familiarity with the disease and lack of observable physical symptoms. A lack of an encouraging environment could make that much worse a disease which has depression as one of its symptoms as well as straining relationships. Even in spite of these potential difficulties, with the proper treatment, fibromyalgia can be managed and there is the potential for an active life. With the belief by some studying the disease that there is at least some mental or psychological component to the disease, a belief that the disease can be overcome is likely crucial to a cure or management of the disease. Fibromyalgia makes life difficult for not only those with the disease, but the loved ones and caregivers around them. While life can appear to be unbearable because of the constant pain, the disease in and of itself it is not a death sentence. With several different therapies and medications available, as well as continuing research, medicine is getting closer to not only a better understanding of this disorder as well as potentially a cure. This pretty much hits the nail on the head. I was first diagnosed in 1980 when the name was fibromyacitis. Later, it became known as fibromyalgia. As a full time teacher, I had a very difficult time coping with my pain. When I tried to retire on medical disability, I was sent to a psychiatrist, who approved my long-term disability, not because of fibromyalgia, but because of PTSD! I agree that the PTSD may have initially caused the fibro, I didn’t agree with the diagnosis. However, I did take medical disability from 1999-2007, when I became old enough to officially retire. I am lucky to have a wonderful spouse who attended all six weekly sessions on coping with fibro, offered by the local arthritis association. He was the only husband to attend all the sessions! My family still doesn’t understand my pain; they have sort of accepted the fact that sometimes I just can’t do certain things and that I need a nap every afternoon. But I don’t think they truly understand the extent of the pain I suffer. I do have the sensitive touch syndrome, which makes it difficult shaking hands and hugging. My mother, bless her 88 year old heart, still pokes me for fun. She doesn’t get it. I am really hoping that changing my diet will be the answer to my prayers. Taking off 50 lbs. will certainly relieve the stress on my knees and reduce the IBSD that I have been plagued with for years. In fact, after only 30 days on LCHF, my IBSD has improved. I do take sleep medication and am still under the care of a psychiatrist who understands fibro and doesn’t think I’m crazy. He prescribes anti-depressants. My rheumatologist also understands fibro and prescribes NSAIDs. Contrary to what the article says, Tramadol does relieve much of my pain, as does Neproxen. When I am in severe pain, only hydrocodone will alleviate the pain, but I have to be really bad before I will take that. I have a strong aversion to addictive drugs. I am copying this article to send to my extended family to help them better understand what I live with every day and have for over 30 years. Thank you.